Matt founded YAIA in January, 2007. 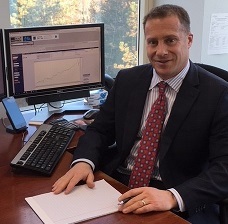 Prior to starting the Firm, he was employed as an Investment Advisor with PNC’s Wealth Management Group where he managed high-net worth personal clients. Before that, he spent a few years in PNC’s Equity Strategy and Investment Research Groups. He has passed both the Certified Financial Planner (CFP®) and Chartered Financial Analyst (CFA) exams. He has been quoted several times by the newspapers and is involved in several investment/compliance committees in Pittsburgh including the Greater Pittsburgh Roundtable among others. At YAIA, Matt is responsible for managing the clients’ overall relationship management. His support staff does assist him with the investment research, rebalancing efforts, and client communication. However, he has maintained the direct point of contact for all of the relationships at YAIA. Matt is also certified to sell life and long-term care Insurances in Pennsylvania and a few other states. As insurance is regulated on a state-by-state basis, other states will be added on an as needed basis going forward. He sells these insurances as an individual and not through YAIA. Matt and his wife, Tara, live in Gibsonia, PA with their three children, Katie (14), Ella (11), and Jacob (7). In his spare time, he primarily spends it with his family. Katie is involved in competitive travel volleyball, Ella with acting and gymnastics, and Jacob with soccer. Matt is also the coach for Jacob’s youth soccer team. 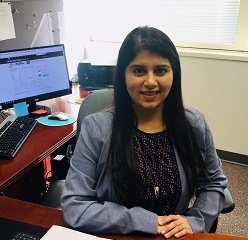 Komal is the Firm’s Investment Analyst Associate. 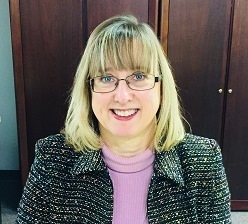 Her responsibilities include providing internal support for investment analytics, portfolio management, research, and will often attend client meetings as well. She meticulously helps oversee ongoing client withdrawals, additions, and other unique cash flow circumstances. She also is a member of YAIA’s investment committee and plays a significant role in monitoring the statistics of YAIA’s underlying investment selections. A true Analyst by trait, she is at her best after fully evaluating the intricate details on the investment projects for our clients. She passed the Certified Financial Planner in March, 2015 and has obtained both her Bachelor’s and Masters of Science Degrees in Banking & Finance. Originally from India, Komal and her husband Dhiraj reside in Cranberry Township. Camille is YAIA’s Administrative Assistant. Her responsibilities include various ongoing correspondences with clients, coordinating vendor and other business related outsourced relationships, processing client account paperwork & Investment Policy Statements (IPS), website modifications and other general administrative duties. A Pittsburgh native, she is an avid sports fan following the Steelers, Penguins, Pirates, and the Pitt Panthers. She resides in her home town of Ambridge with her husband, Doug. Camille’s genuine smile will make you feel at home when you walk in the door!